This is a very unusual post for me, since I don't dabble in the art of interior design or decorating. However, since I moved a couple of months back, I thought of sharing with you some of the progress in decorating. The colour scheme of the room is baby pink and white with a few monochrome details. Since there is a lot of space and I didn't want to fill everything with the pink-white stripped boxes, I went ahead and used some nice bags for storage. 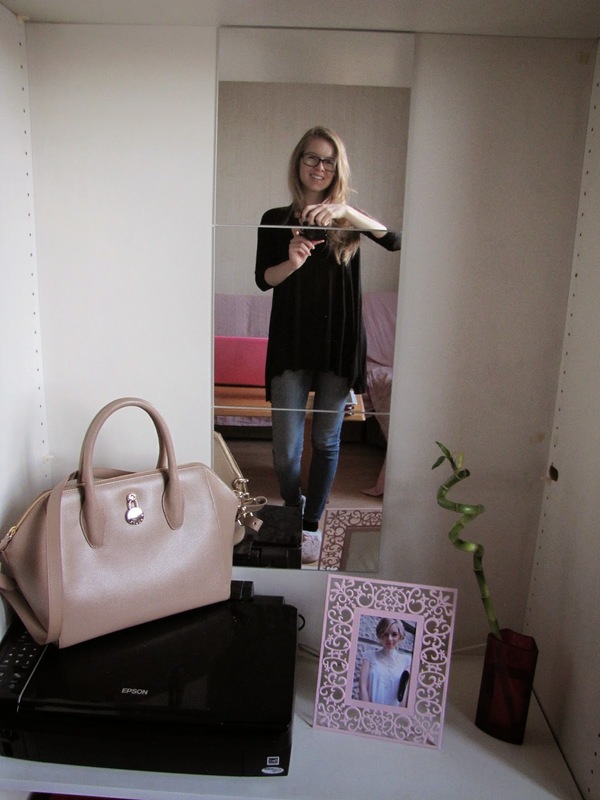 You can feel my love for fashion and beauty by observing the room and small details. It isn't ready yet, however it's a progress. Hope you like it and someday I'll make a part 2. 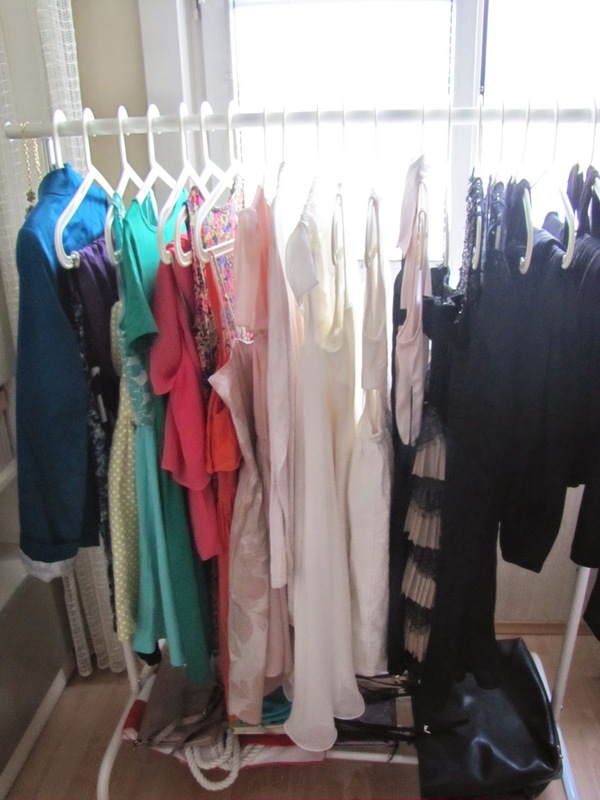 I got a clothing rack for my dresses and as you can see I do own colourful pieces, I just don't wear them as often. On the sides I put some of my statement necklaces for the moment and on the bottom I keep my purses, but I'm not entirely happy with this arrangement and I would much rather prefer to protect them. I like having pictures everywhere and should really get more printed as I have other frames waiting to be used. Since there are a lot of shelves and I don't like leaving clustered nicknacks everywhere, I decided to use some of the nicer structured bags. In two I have cables and cords, and in the other three just miscellaneous stuff. On the first shelf there are my sunglasses, jewellery travel case, Leon Hatot notebook. On the second I hold my jewellery, make-up brushes and some hand creams. 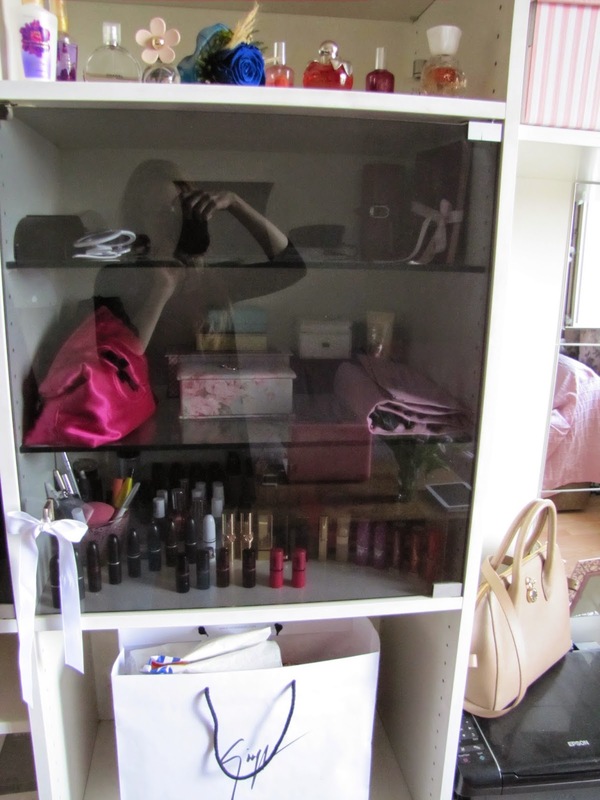 The last shelf consist of my make-up, including half of my nail polish stash. 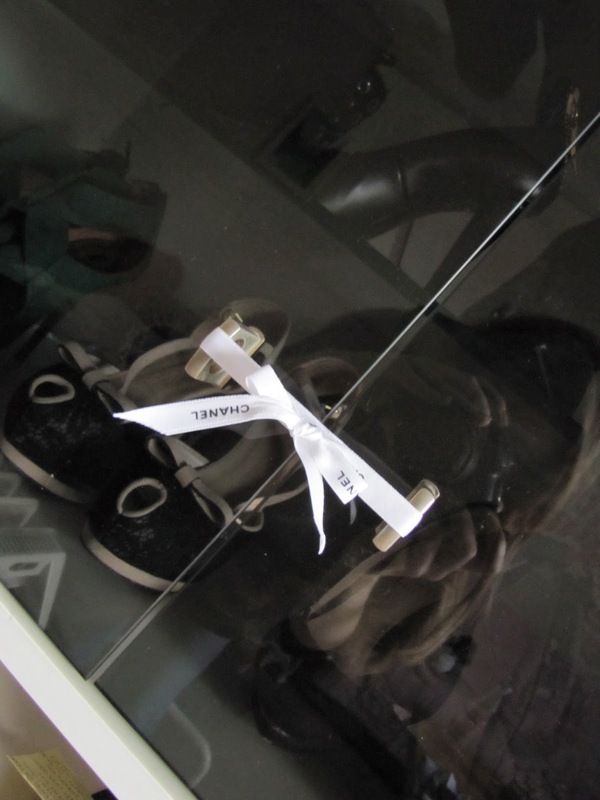 I love my shoes and bags, as you may probably know by now, so I like keeping some on display and since they are on a shelf dust doesn't get as easily on them.